For awhile now I've been toying with the idea of doing one post that's bit off-topic - a place to share everything I have come across throughout the week from home decor, fashion, beauty, to inspiration and finishes. Sunday seemed like the perfect day for this new series! 1. Did you see the latest news? Elz Design sold her home! Read more about it here. 2. 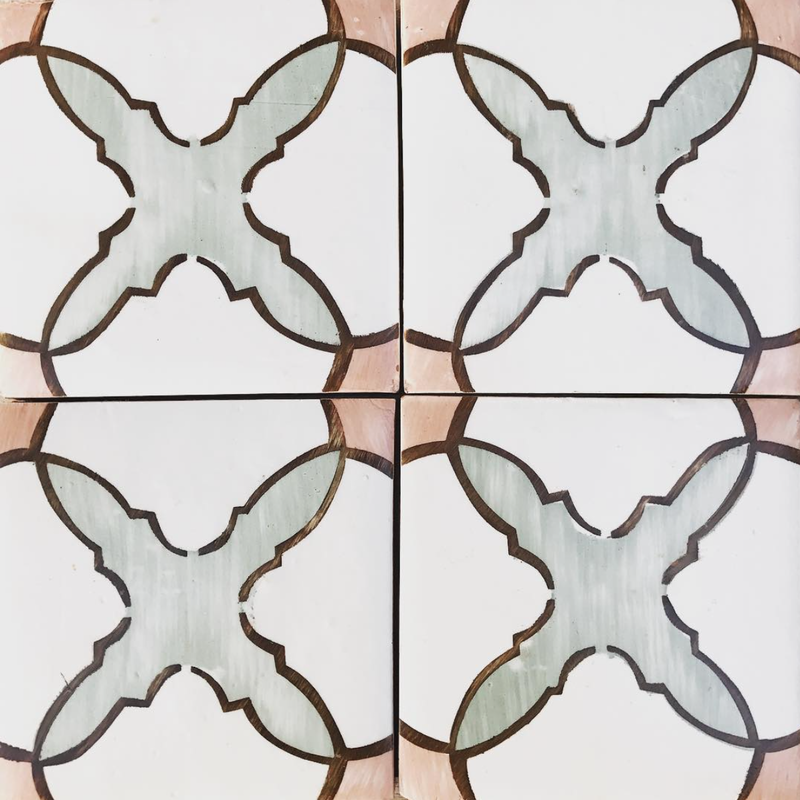 Came across this hand painted terra cotta tile from Tabarka Studio. Love the light pastel colors, would be perfect for a bathroom floor paired with light or dark walls. 3. Loving these rugs...seriously heart eyes times ten.. Orville Rug from CB2, Estrella Rug from Citizenry, and the Samarkand Kilim Woven Rug from Urban Outfitters. Whites- Whisper White, Ultra White, Ultra Pure White, and Super White. Navy- Hale Navy, Novelty Navy, Long Lake, and Hague Blue. 5. I have been looking for activewear that is comfy, but still makes me feel halfway decent. Here are a few items I am loving right now. These high waisted leggings and these leggings are the perfect color and length. Shoes that are sporty, but make me feel more put together. This casual dress that looks perfect with these shoes. Here are a few other activewear items I am loving. 6. I just recently bought this romper and I am obsessed. 7. Since I moved to Scottsdale, AZ, I have been looking for pool rafts to use in this 115 degree weather. 2 comments on "CASUAL SUNDAY"
Looks everything perfect and awesome. Thanks for sharing these awesome pics. Welcome to my world of design, renovations, inspiration, and ideas that add a touch of the good life to everyday. Just a girl who wants to make everything around her beautiful- one house at a time.